As soon as the first sun’s rays start peeking through our windows, we start imagining ourselves on our summer adventures, don’t we? But if you are anything like me, you would rather be safe than sorry when it comes to just about anything, especially planning out your next trip. The best thing to do when preparing a special trip is to start planning it out at least a month before. This is why springtime is the best time to start thinking about the little details that will end up making your next getaway a success! No matter what your next travel destination is, you can make good use from the tips you’re about to get. There are always lots of things that we overlook when looking up a certain destination, so make sure not to make this mistake. 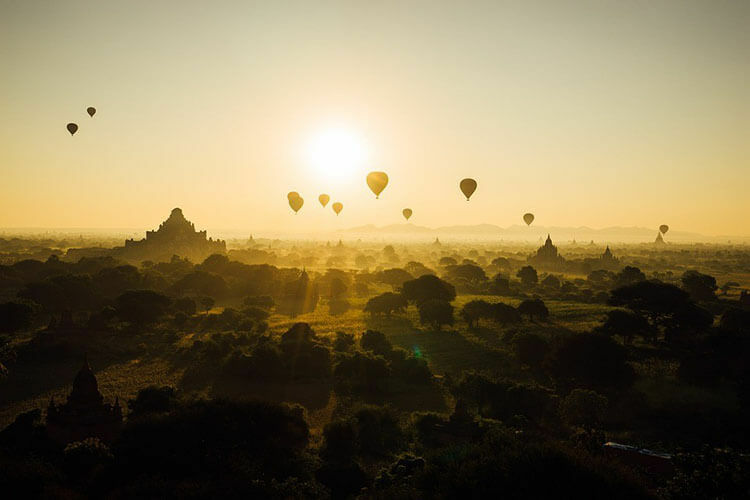 Whether you are about to go exploring the temples of Myanmar, get pampered on an Amazon river cruise, watch the wildlife on a safari in Africa, or you are simply going on a trip to your neighboring country, one thing is certain – you should make sure that it is a trip that you will remember for the rest of your life! If your next travel destination happens to be an exotic one, the chances are that the seasons will be quite different than you expected them to be. For example, if you are planning a river cruise, you should know that most rivers actually have two seasons a year – the wet and the dry one. Most travelers tend to overlook the importance of this and end up planning their trip for the completely wrong season! You wouldn’t want that to happen to you, would you? So, you should keep in mind that the dry season starts in November and ends in April and that the wet season usually starts in May and ends in October. Essentially, if you are planning a summer trip, you can expect that you will be visiting your destination in the wet season. This means that you should pack accordingly and that you can expect quite a few rain showers, so come prepared! Having mentioned the wet season, it is time to prepare you for packing, right? As expected, the clothing selection that will end up in your luggage is quite different than it would be if you were simply traveling to the coast. So, if you are, for example, going on your first exotic river cruise, you should consider packing light but smart. You don’t want heavy luggage weighing you down while you’re on an adventure of a lifetime, so make sure to bring only the essentials. However, even if a river cruise is not something you had in mind, you should still make sure to pack lots of light-colored, lightweight, and dry-fit clothing. Another thing that may help you out in picking out the clothing pieces you’ll pack is that long sleeves and long pants are an absolute essential! This way you’ll be fully protected from any possible sun damage and those pesky mosquitoes that always get in the way. As for the shoes, you should pack anything that is comfortable for taking long walks. So, as long as you feel good in them, you can pack a pair of sneakers, boots, etc. Of course, if you are traveling anywhere in the wet season, you should also consider packing a pair of rubber boots! Other than this, you should make sure to bring along a water-resistant backpack in order to make sure that your belongings are safe and sound throughout your adventure. And of course, don’t even think about heading to the airport without your Ziploc bags. They are your best friend when storing away your electronics and personal documents! Let’s face it, the chances of you spending some time with a tourist in your city skyrocket as soon as they start using some of the slang they’ve picked up. It will be the same with you once you reach your next destination. The best way to learn some phrases is by using language apps or sites at least a month before your trip. After all, one of the most important parts of every trip you take will be the locals. They can truly be something that makes your trip all the more interesting and the best way to interact with them is in their own language, of course! Using just about any of our tips, you can be that your next getaway will be an experience of a lifetime. As long as you respect the culture and act accordingly, a trip that you’ll never forget is guaranteed! Hey, don’t thank us just yet, but be sure to send a postcard!